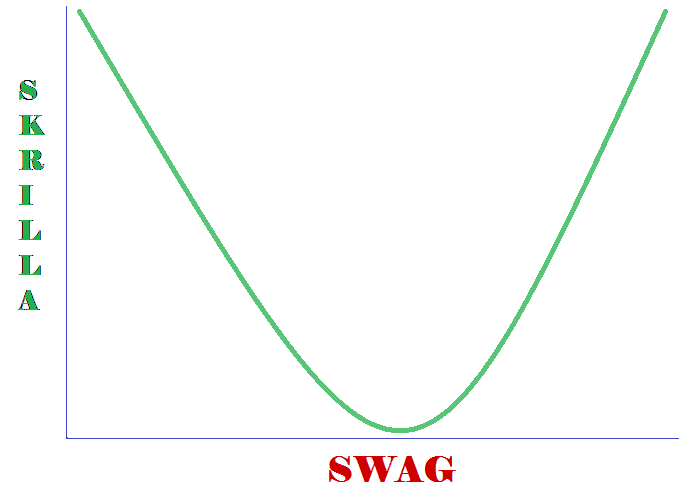 Learning Objectives: Introduction to Swag Basics is designed to provide the attendee with insight into the fundamentals as well as the practical applications of Swag in both industry and broader commercial markets. Enterprise solutions are introduced, and a discussion of emerging trends will also be examined. Will there be an optional pre-symposium, swag-devotional by the Reverend Creflo A. Dollar? 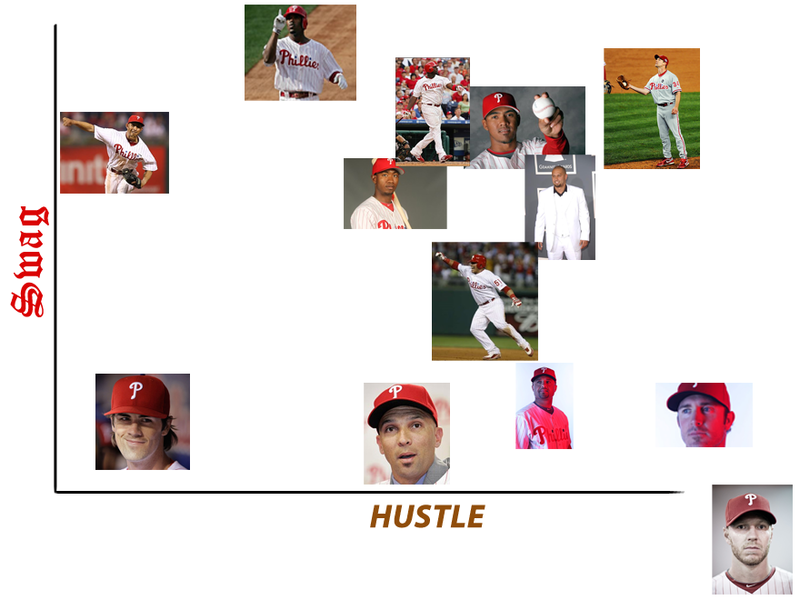 I think Bobby Abreu should be where Cole Hamels is. 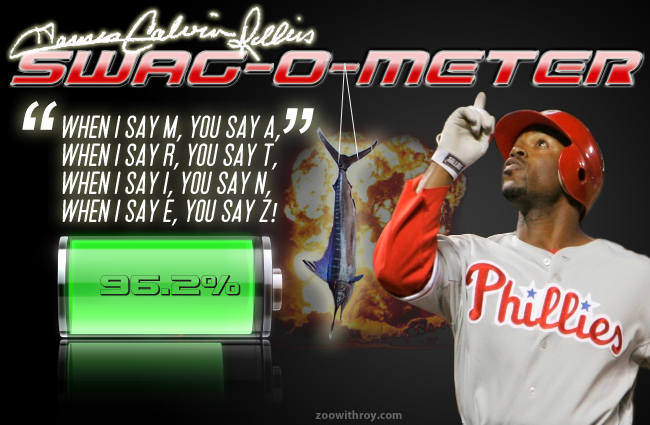 Dom Brown should be above Stutes. Also, my password to publish a comment was "slyfin." That could definitely fit into that circle graph somewhere. That picture of Doc freaks me out. It is like he's staring into my soul. 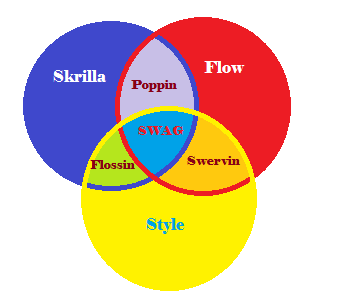 The class is for students who plan to major in swag, or minor in facebreaking. Where does my home town of Lovetron fit into this here graphezoid, yo? Where am I on this graph? What, Rick? No. Shutup. Shutup.